A bit different from the other entries in the series on political prisoners but its account of a massive police coverup and attempt to discredit and harass grieving family members for wanting to know the truth is very familiar. A heartbreaking story of a long campaign for justice in the UK. Steve's brother, Mike, was killed in the 1989 Hillsborough Disaster, when 96 people died in a crush at a football stadium. Fans like Mike were blamed for the deaths, but Steve and others knew that something was amiss. In Their Own Words is a podcast from Amnesty International, where people around the world tell their extraordinary stories of fighting for their rights. The Hillsborough stadium disaster and the police response are very instructive. Despite billions of pounds being spent on PR for the police criticism and opposition to them is still fairly common provided it comes with a number of qualifiers. From my own experience contempt and hostility toward individual coppers is widespread and when news or rumours of police corruption and or brutality surface its not hard to convince someone that there is at least some truth to the allegations. However the distrust usually falls under the `few bad apples` scenario. Yes those officers were corrupt and worse then the criminals they allegedly protect us all from, but they're the exception. Again from personal experience the only time I've encountered people -who aren't already involved in political radicalism of some kind- willing to believe in widespread or even total corruption or abuse from the police its in regards to a foreign police force in a nation that has a very poor reputation overall. Though there has been a bit of an exception with the police of the United States. The Black Lives Matter campaigns have really damaged the reputation of the American police internationally. 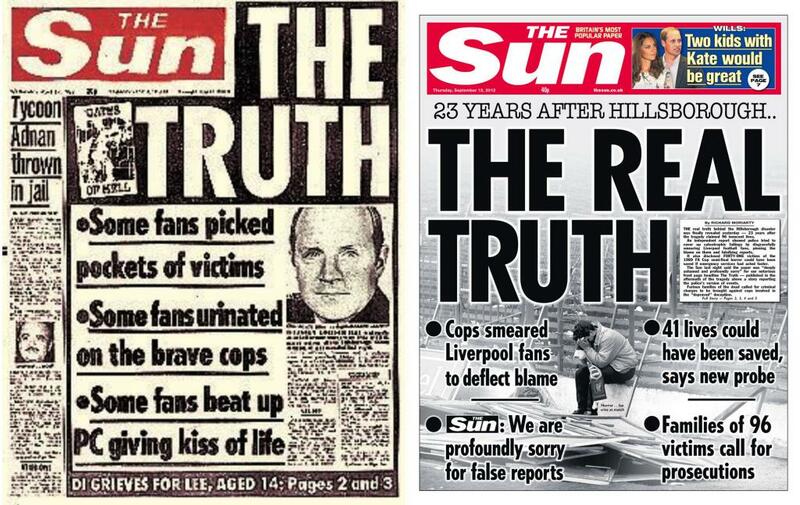 This is why I feel its very important not to let Hillsborough fade from memory after the second inquest. This was a cover up and harassment campaign organised by the entire South Yorkshire police force, from the officers at the scene on that day all the way to the top. They were supported in this endeavour to cover up the deaths of 96 people by the elected and parliamentary government and elements with the free press. Its an incontestable example of the power and attitude of the police as an institution and how even modern parliamentary democracy and independent media are not only not up to the task of keeping the police in check, but when push comes to shove will actively support even its worst excesses. And I didn't realise I was helping their case then, and I was so, so vulnerable. I think they used that to their advantage.